A Nigerian man has been sentenced to 7 years in federal prison for his role in the bilking of over $11m via an identity-theft scheme from the Internal Revenue Service, the U.S. Attorney’s office for Oregon said Tuesday. An IRS agent has said this is one of the largest tax fraud cases in the U.S in which stolen personal identification information was used to defraud the IRS, First Assistant U.S. Attorney for Oregon Scott Erik Asphaug said. Its scope is staggering. An IRS criminal investigation determined the co-conspirators obtained personal identifying information of more than 259,000 people, and used it to acquire over 19,500 electronic filing PINs from the IRS. 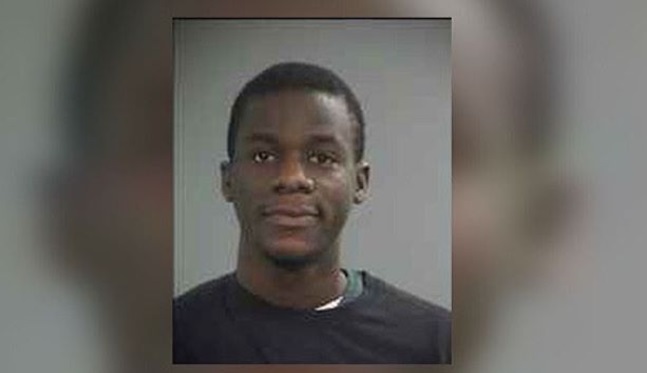 For his role, Michael Oluwasegun Kazeem, 24, who came to the United States on a student visa, was sentenced in federal court in the southern Oregon town of Medford on Nov. 8 for conspiracy to commit mail fraud, aggravated identity theft and mail fraud. U.S. District Court Judge Ann Aiken also ordered Kazeem to pay $4.3m in restitution. Last August, Kazeem’s brother, Emmanuel Kazeem, was convicted in Medford of mail and wire fraud, aggravated identity theft and conspiracy to commit mail and wire fraud. Evidence presented at his trial showed Emmanuel Kazeem purchased over 91,000 taxpayer identities from a Vietnamese hacker. Michael Kazeem joined the conspiracy in 2013 to help his brother, who lived in Bowie, Maryland and Nigeria. Emmanuel Kazeem’s sentencing is scheduled for March 22, 2018. Michael Kazeem apologized in court. “I’m deeply and emotionally sorry for the trouble I caused. What I did was wrong,” he said. He is to be deported after completing his sentence.